While logistics is typically forward-facing, focusing on the details and costs associated with getting items produced and delivered to end users, reverse logistics is concerned with the analysis of products going in the opposite direction. Moving items backwards in the supply chain is how companies recoup value from products that are not useful in their current state or location, making reverse logistics just as important for effective supply chain management. When products and materials move backwards in the supply chain, they incur costs, which then affects total revenue numbers. However, these inbound logistics costs are typically dispersed across the entire organization instead of being assigned to a cost center like other manufacturing and selling costs. 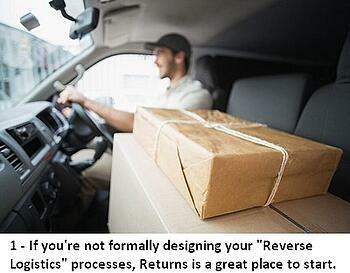 As a result, the complex costs of reverse logistics often go unchecked, diminishing margins. Total cost of ownership (TCO) aims to control these costs by integrating all aspects of the supply chain to share responsibility organization-wide. Despite being more difficult to understand, reverse logistics play an important role in controlling overall logistics costs. In addition to providing a better understanding of direct costs, reverse logistics management also increases customer satisfaction, reduces waste, and promotes sustainability. 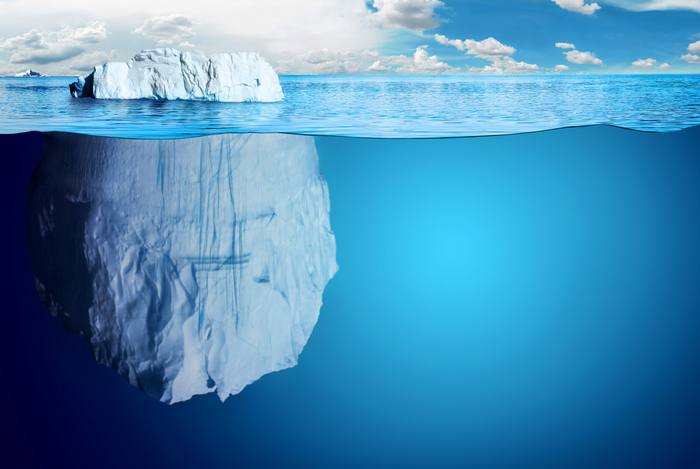 These aspects include indirect and opportunity costs, which ultimately affect a company’s bottom line as well. Returned products have one of the highest costs of any type of inbound logistics, especially for retail companies. These costs begin before products are even sold and increase proportionally as they are returned. Developing legally binding warranties, return policies, and service contracts all factor into the cost of returned products. As returns increase, customer service expenses increase as well because more labor is required to handle return requests, check the status of returns, and process claims. Transportation costs result when products are taken back and sent elsewhere even if they are only moved over a short distance. Receiving and warehousing costs are then incurred when returned products are logged into facilities and stored. When documentation errors occur during receiving, additional costs can result because finance teams must do additional work to reconcile the accounting issues that follow. Furthermore, returns that are not covered under warranty come at an additional cost to the business, resulting in an even higher inbound logistics cost. Logistics is most often concerned with how long it takes to get products to retail stores or into consumers’ hands. Typical analyses look at whether the cost of air freight is worth it to increase customer satisfaction, and other clear cost-benefit scenarios. However, reverse logistics examines less obvious angles like the cost of bringing back unsold merchandise from retail stores or recycling packaging components. In some industries, these reverse transportation costs can be just as high as their forward transportation counterparts. In the case of packaging, pallets, crates, and displays are all sizeable packaging elements that need to be accounted for when transporting products because these items are recycled for use with subsequent product sales. Determining where to locate repair centers is a hot topic. It is typically more cost effective to have fewer repair locations and transport products to be repaired to them than it is to open additional centers. Regardless of the industry, repair centers of all kinds carry hefty price tags that outweigh the ongoing costs of inventory transportation. Stocking inventory comes with a carrying cost that must be analyzed to determine where appropriate thresholds exist. Storing excess inventory comes at the opportunity cost of occupying valuable space and running the risk that inventory will become obsolete before it can be utilized. However, not stocking enough inventory can result in downtime when required parts are unavailable to complete repair work. Like repair centers, the location of service centers is an important decision because it affects overall profitability. However, service centers have unique considerations as well, such as service level guarantees. For products that include specified service levels, the logistics throughout the supply chain need to work together flawlessly to meet customers’ expectations every time a product is serviced. Inventory, transportation, staffing, training, and customer communications all come together to deliver expected service outputs. At each step inbound logistics can determine where service gains may be made if individual components are changed. In the case of training, for instance, a cost-benefit analysis can be conducted to determine if the downtime needed for additional training and the cost of that education itself can result in more efficient operations or measurably higher service quality. Refurbishing products is a reverse logistics approach that many companies use to extract residual value from existing inventory. Remanufacturing upgrades products that would otherwise be obsolete so they can be resold. While common, refurbishing is not the only method of reselling products. Returned products can also be resold if they are in good condition. However, inspecting products, repairing damage or replacing defective parts, and repackaging them takes time and materials. 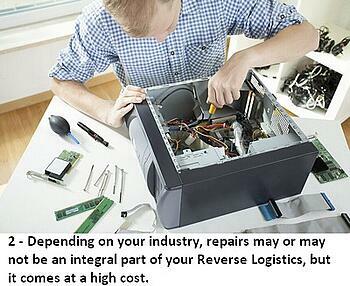 These costs are all included in the reverse logistics calculation of reselling products. The traditional forward-focused logistics models then take effect once products have been returned, repaired, or refurbished as they are sold and delivered to customers. Inbound logistics costs are complicated to measure and track, but automation can simplify the complexities. Integrating technology to improve receiving and warehouse inventory tracking reduces the costs associated with processing returns, performing repairs and service, and reselling products. Assimilating technology across manufacturing and product fulfillment provides a logistics backbone that improves all supply chain efforts. Mobile workstations, handhelds, and other components that put technology at the finger tips of workers in warehouses, repair facilities, and service centers allow real-time data to be collected and aggregated to enable better business decision-making across all business sectors. Along the way you can measure waste with our MotionMeter free user-friendly app (available for both Apple and Android devices). The MotionMeter app enables you to quickly perform your own time studies by capturing the time of core processes within your business. It can help you identify which step of the process is NECESSARY (Value Add) or WASTE (non-Value Add).